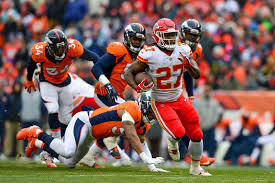 Tonight’s Monday Night Football matchup offers the high-powered offense of the Kansas City Chiefs (3-0) against the tough defense of the Denver Broncos (2-1). 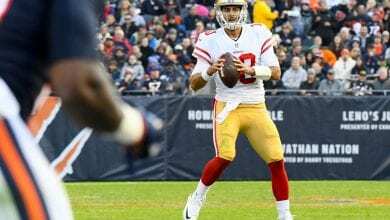 A major question is can the Broncos slow down Chiefs’ QB Patrick Mahomes? Mahomes seems to be setting records whenever he walks onto the field. 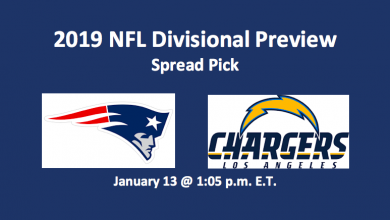 Our Monday Night Football Chiefs play Broncos pick has K.C. at between -3.5 and -4.5. The over/under stands at anywhere from 54.0 to 55.0. If the Broncos can derail the Chiefs tonight, they will put themselves in a tie for first with K.C. in the AFC West. In the quarterback matchup, the Chiefs have a major edge. Mahomes has 13 TD passes and no interceptions. Keenum has tossed three scoring passes and five INTs. Mahomes is averaging close to 300 passing yards per game, while Keenum is good for about 150. Finally, the KC quarterback is completing close to 67% of his passes. Denver’s QB has been good for 61%. The Chiefs have three very fine receivers in Tyreek Hill, Travis Kelce, and Sammy Watkins. Although Mahomes has spread his TD passes amongst nine different players, that trio has caught six scoring tosses. Watkins also has three rushes with each averaging 17 YPA. Kareem Hunt is the team’s primary rusher. Hunt has 168 yards on 52 carries for a 3.2 YPA average and two scores. Denver’s offensive strength is in its running game. The Broncos have two solid running backs in Phillip Lindsay and Royce Freeman. Lindsay has carried the ball 33 times for 198 yards, averaging 6.0 YPA. He has no TDs. Freeman has scored twice when running and is averaging 4.2 YPA over the course of 36 carries. WR Emmanuel Sanders is this team’s primary pass-catching threat. He’s made 19 catches for 269 yards and one score. Sanders is averaging 14.2 YPC. Denver has none sacks, three FF, and 12 PD. They are holding teams to 77.7 YPG rushing, while allowing 287.7 YPG in the air. Denver is third in the NFL in running yards allowed and 16th in passing yards. The Broncos have just two INTs and have seven TFL while forcing three fumbles. 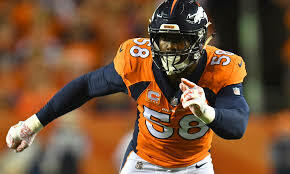 LB Von Miller comes to this game with four sacks, two FF, and one fumble recovery. They’re allowing 23.3 YPG (15th). Kansas City has posted six sacks, 12 TFL, and four FF. They also have one INT and eight PD. They are allowing opponents 487.0 YPG (32nd). They’re ranked 32nd in NFL passing yards allowed per game with 362.7. 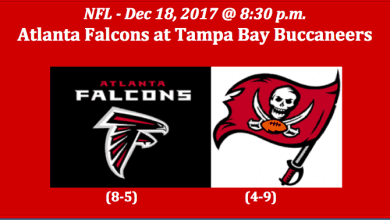 Their 111.3 YPG on the ground is good for 21st in the league. Kansas City’s 30.7 PPG allowed earns a ranking of 30th. 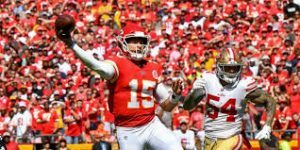 The big question is can Mahomes outplay what is a very tough Denver D? If he can, then the Chiefs win tonight’s game. Our Monday Night Football Chiefs play Broncos pick is Kansas City at -3.5. Also, we’re taking the over at 54.0 points.